Efficient and affordable man and van removals in Ealing are just a phone call away! We are here to assist residential and commercial customers in W5 and W13 areas with various relocation and delivery needs at reasonable prices. We ensure thorough coverage of all requirements, this means customers receive seamless, hassle-free service worth their time and money. We expertly organise and handle all aspects of any removal or delivery service we are contracted for. Comprehensive service coverage is something we are very serious about. We are also quite serious about safe handling and quick delivery of customer belongings from A to B. Because of this we work with professional removal teams who have the skills and expertise to handle everything properly. We ensure our residential and commercial clients have plenty of options when it comes to choosing the right type of service. Keep in mind, services can be modified as per individual needs, or made to include one of several additional options we have on offer. Additional options to consider: professional cleaning treatments, including end of tenancy, cost effective packing and storage solutions, delivery of packing materials and crate hire, licensed domestic & commercial rubbish removals. Private and business customers in W5 and W13 are supplied with best possible pricing given the circumstances. We prepare fair quotes on which we base our flexible pricing. No hidden fees. Accurate price estimates also available after viewings and onsite quotations. Only a few other companies in London own fleets of professional moving vans that can actually compete with ours. We, from Atlas Man and Van, have invested in reliable and innovative moving vehicles in W5, W13 Ealing and we make sure that they are always in a clean and in a tip-top condition. Thanks to the fact that our armada consists of vehicles of various sizes, we are able to provide our clients with customised and secure removal services in Ealing W5, W13. We have also installed many excellent safely features in our eco-friendly moving vans in W5, W13 such as van ramps and GPS systems. Ealing is one of the major suburbs of West London. It is also the administrative centre of the London Borough of Ealing. The London Plan designates Ealing as one of the thirty five major metropolitan and administrative hubs of the British capital. Ealing began as a rural village in the county of Middlesex. Gradually communication links with City of London picked up, signalling development and urbanisation for Ealing. Efforts culminated with the arrival of the railways in the 1840s – an important event which put Ealing on London’s map. Ealing is called the Queen of the Suburbs. 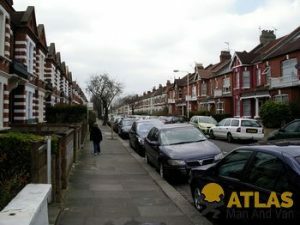 The reason – it is not your typical London suburb. It is properly developed and well-served by the city’s public transport. Ealing plays an important role in the history of filmmaking since it is home to one of the world’s earliest film studios.